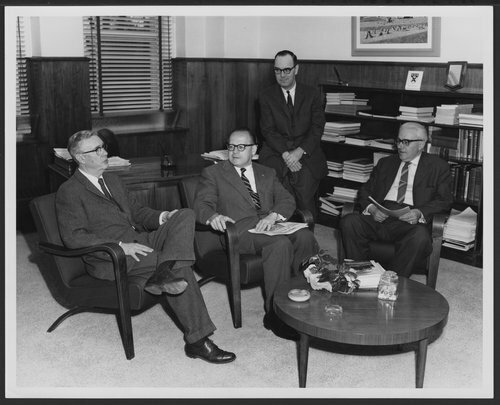 Two photographs featuring Leonard Axe, president of Pittsburg State University and Clyde Reed. In the first photograph, Axe is sitting on the far left with Reed standing and in the second photograph, Reed is sitting on the far left with Axe standing. The other two men are not identified.